Do you know a child or teen that is battling cancer or battled cancer? 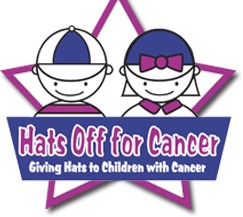 We want to honor children and teens battling cancer who are inspirational to others! Nominate them as our HOC Hero of the Month and we will feature them on our blog, web site and social media with a link to their personal story and fundraising page! Each child or teen selected for the Hero of the Month will also receive a $500 Visa Gift Card to financially assist them and their families. Include links to any fundraising pages or CaringBridge sites so people can help and stay updated. Upload photos using the file upload option below. Photos must be included in order to be considered for the award. Let’s help celebrate all of the brave children and young adults who are battling or have battled cancer! By submitting a photograph, you agree that you have the right to submit this photograph and Hats Off For Cancer may use such photographs with or without a name and for any lawful purpose, including for example such purposes as publicity, illustration, advertising, and Web content.